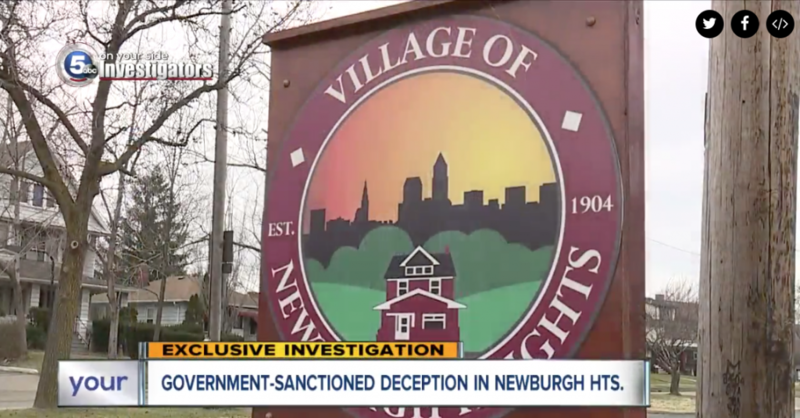 Yesterday afternoon, Cuyahoga County Court of Common Pleas Judge Kelly Ann Gallagher denied Defendants Scripps Media Inc., Cleveland Channel 5 News, and reporter Jonathan Walsh’s motion to dismiss the defamation lawsuit filed by Newburgh Heights Mayor Trevor Elkins and four Village council members over News 5’s report that falsely accused them of running a “widespread scam” by which they “charged people for calling the cops.” In denying Defendants’ motion, the Court rejected their arguments that their so-called “investigative report” was actually just a matter of “opinion,” and that their attempt to smear the Newburgh Heights officials was protected government criticism under the First Amendment. The case will now proceed to discovery where Plaintiffs will confirm that Defendants recklessly and maliciously pursued their baseless report. More information about the case (Cuyahoga County No. CV-17-889733), including a copy of the complaint, is available here.